Canada: SunRise Records will be selling the albums in store on November 23, 2018. USA (In Store): Not known, visitors to Target (rumoured to be where it would be carried) have not found these releases today. See next line for online availability for US Addresses. Worldwide: U2.Com has these releases available to purchase. Two new pressings of U2 albums will be released this fall. 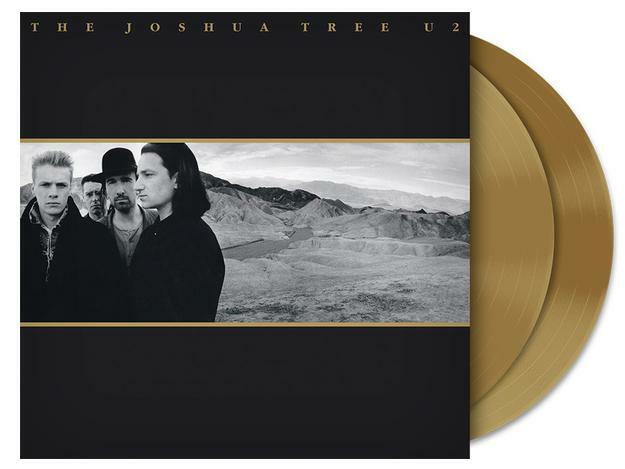 This includes Zooropa on blue vinyl and The Joshua Tree on gold vinyl. Zooropa is already available in the UK and will be available shortly in other countries. These vinyl releases will be released in different countries around the world, and in each case we are told that the vinyl will be exclusive to one retailer. This is a common practice these days in music marketing. For example in the USA, only one chain will sell these special coloured releases, similar to how Urban Outfitters sold the recent coloured vinyl pressing of Batman Forever, while it was available on black vinyl everywhere else. We are told that Target will likely be the retailer with the exclusive for the USA. Although we expect these will be pressed once, and not repressed at a later date, the initial pressings should be quite large to fill orders for several chain retailers who will be carrying these items. 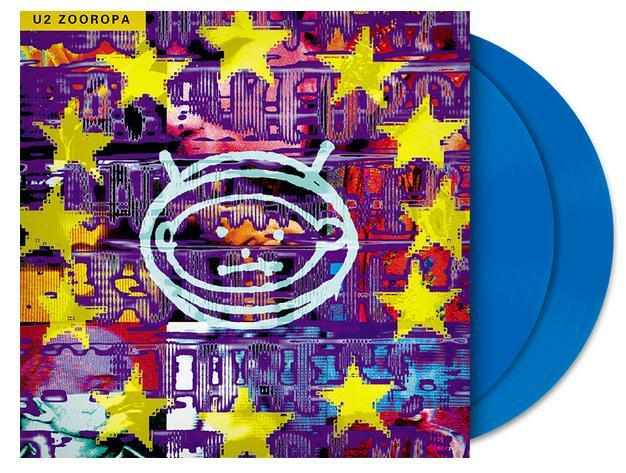 All Regions: U2.Com is taking pre-orders for both items now, and has already started shipping some copies of Zooropa. In Germany these releases were initially listed on CeDe, with a November 23, 2018 release date listed for both. The listing for Zooropa no longer appears on CeDE. These are now listed on the Saturn / Media Markt sites with the release date of October 26, 2018 for both releases, which matches the release date posted to U2.Com. Both releases are expected to be the most recent audio versions of these albums. The Joshua Tree was released in 2017, and Zooropa was released just a few months ago on black vinyl. Both will be sold with a download card, allowing you to download the audio in wave format. We can confirm that the download card included with Zooropa is the same audio that was available to download with the black vinyl release earlier this year. The catalog number listed for these items is different than that of the earlier pressings on black vinyl on the front sticker. Zooropa lists 00602567891291, and The Joshua Tree lists 00602567891239. Both also contain a different UPC. However, the labels inside Zooropa at least contain the same catalog numbers as the black vinyl issue. The British music community have come together to announce a new annual event, the National Album Day, celebrating the 70th birthday of the album. This years inaugural event took place on Saturday, October 13, 2018. There were events throughout the country to celebrate “the UK’s love of the album”. This included programming on the BBC, retail events, listening parties, and the hashtag #NationalAlbumDay on Twitter. The release of the blue version of Zooropa was pushed out early in the UK to meet this release day. Copies of the vinyl were available at HMV stores throughout the country, and most stores chose to limit these to one copy per customer, and did not offer online sales. In most countries these will be released on November 23, 2018. This is the same day as Record Store Day’s Black Friday event where “Hold Me, Thrill Me, Kiss Me, Kill Me“ will also be available. Thanks to u2vinyladdict for some of the information used in the report above.